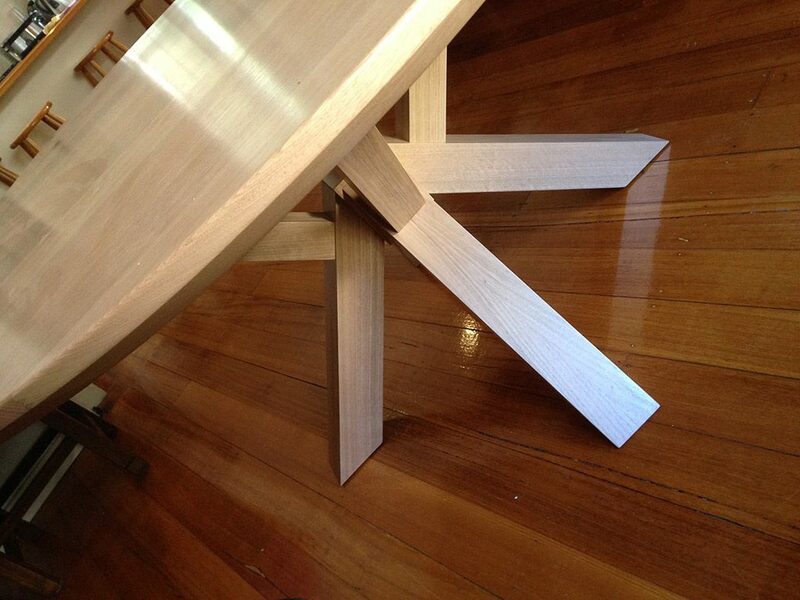 This Australian made, 1400mm round dining table. 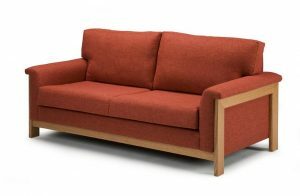 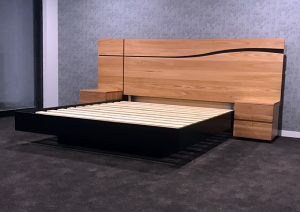 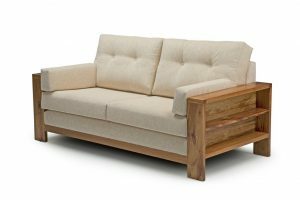 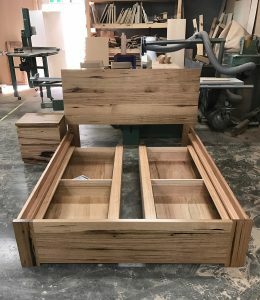 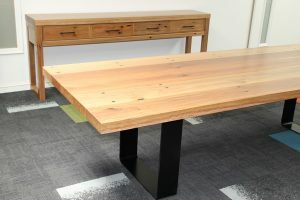 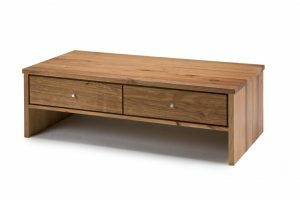 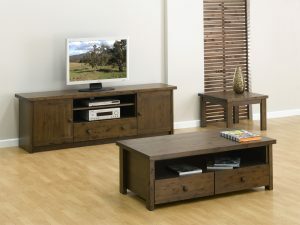 features modern Tasmanian Oak timber and a cross legged under carriage. 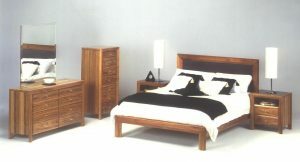 This product can be stained in any colour you wish and can be custom made to suit your space.